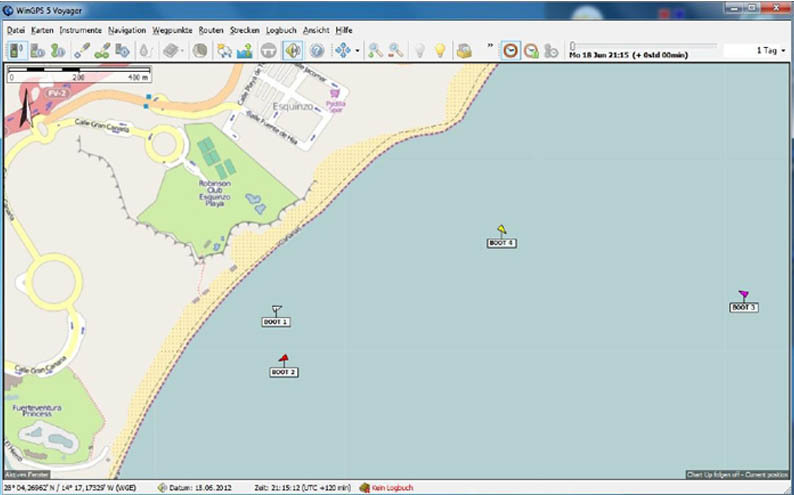 WinGPS is a navigation software for sport boats that can run on standard Windows PCs and notebooks. 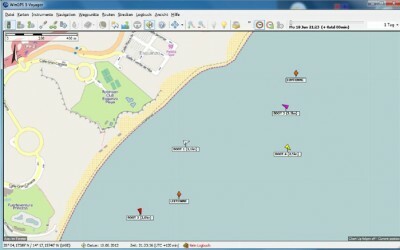 The software is available in three different versions: Navigator, Pro and Voyager. From the „Pro„ version on, it is possible to display an AIS-object, among others, in a sea map with diverse information. Furthermore, it is possible to display traveled routes on a sea map on the basis of their GPS Positions and play them back on a screen. It is also possible to display more than one route at the same time and compare them with each other. 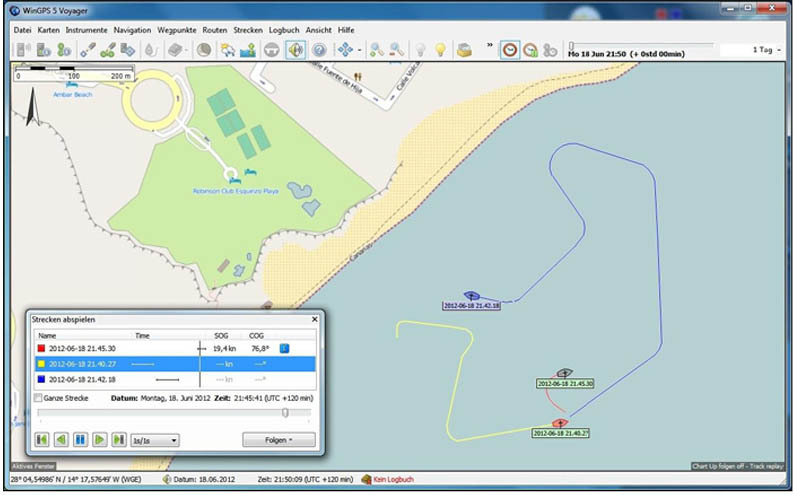 Displaying the routes is also possible with the free version WinGPS 5 Lite. 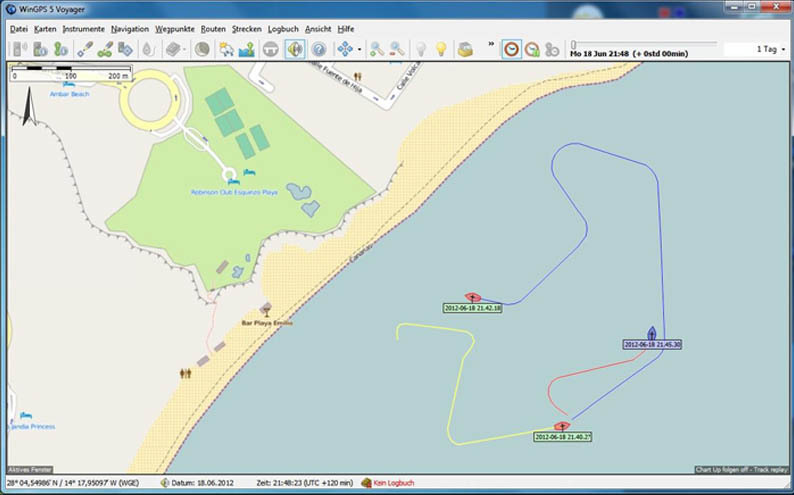 For the tracking of boats for observation purposes, or to present on screen regatta competitions, the software can be supplemented by a “race track” module. The race-track module receives the AIS signals from boats, modifies and forwards them to the WinGPS software. 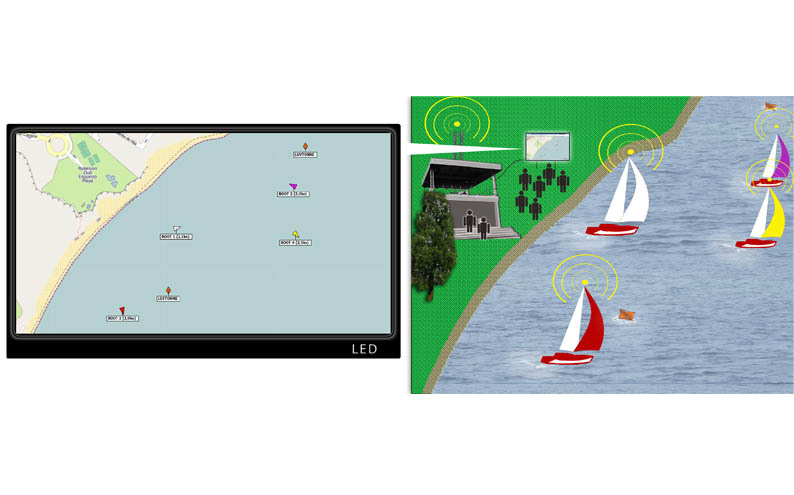 This is an advanced feature, in addition to the “normal” AIS functions possible such as: representation of boat symbols in different colors, the course marker for the regatta represented with special symbols, displaying or concealing information about the boat depending on the object type. Furthermore, an additional module enables the constant logging and storing of the AIS positions of all objects. This can later be displayed as lines in WinGPS, which can be evaluated and also exported. 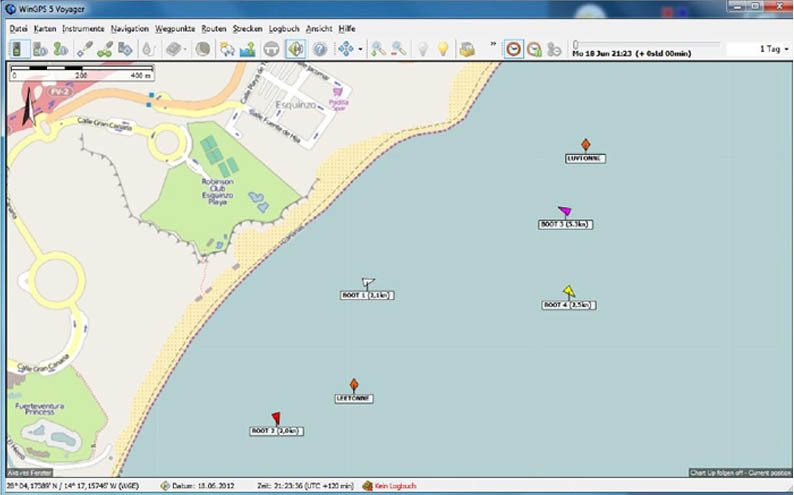 Due to the possibility of using standard nautical charts in different formats for the sporting boat area in this software, it is possible to provide a realistic and clear ly background image of the boat positions and routes almost worldwide. 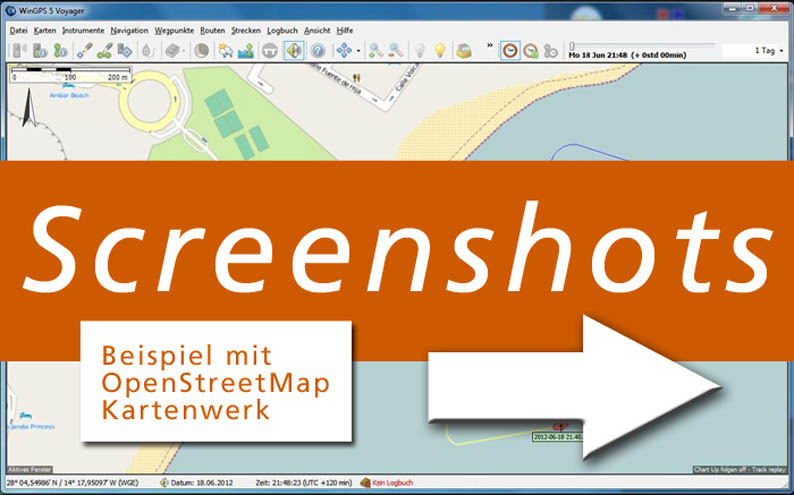 In addition to this, it is also possible to create one’s own special maps, which are based on Google-Maps or similar programs, for example. 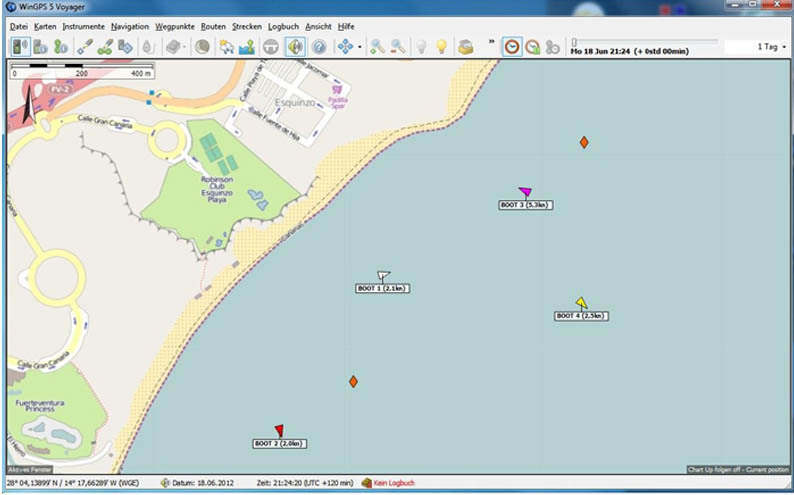 The potential emergency messages from AIS transmitters are clearly highlighted with special icons in the map. 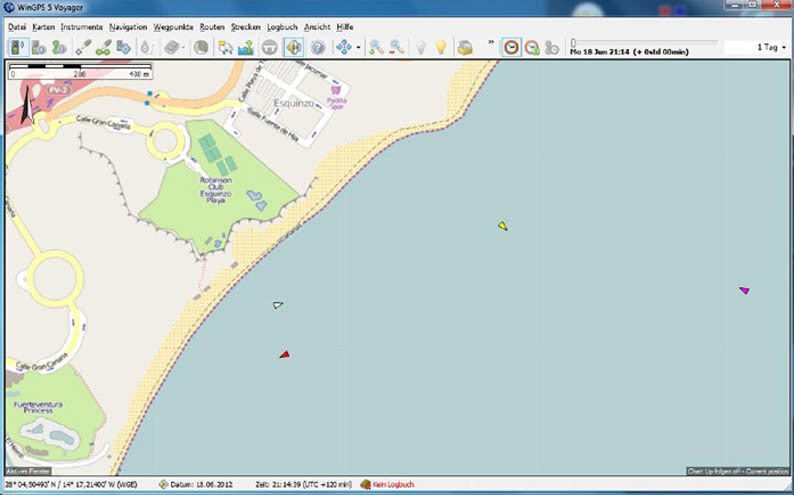 1 Representation of the current boat position as an icon on the screen on a nautical chart. 2 Representation of stationary objects, such as the course markings at regattas with actual positions when they are equipped with an appropriate transmitter. 3 Manual insertion of stationary objects in fixed positions when they have no position transmitter. Indicator of the speed at a given position in the subsequent playback of routes.